I just realized that I probably should've written this earlier because some of y'all have already started your orientation, but my orientation starts next week so I just thought of it (whoops). I really wish I could take pictures of the outfits that I plan to wear but my house is a mess right now because I'm about to move and also I don't own a full length mirror. 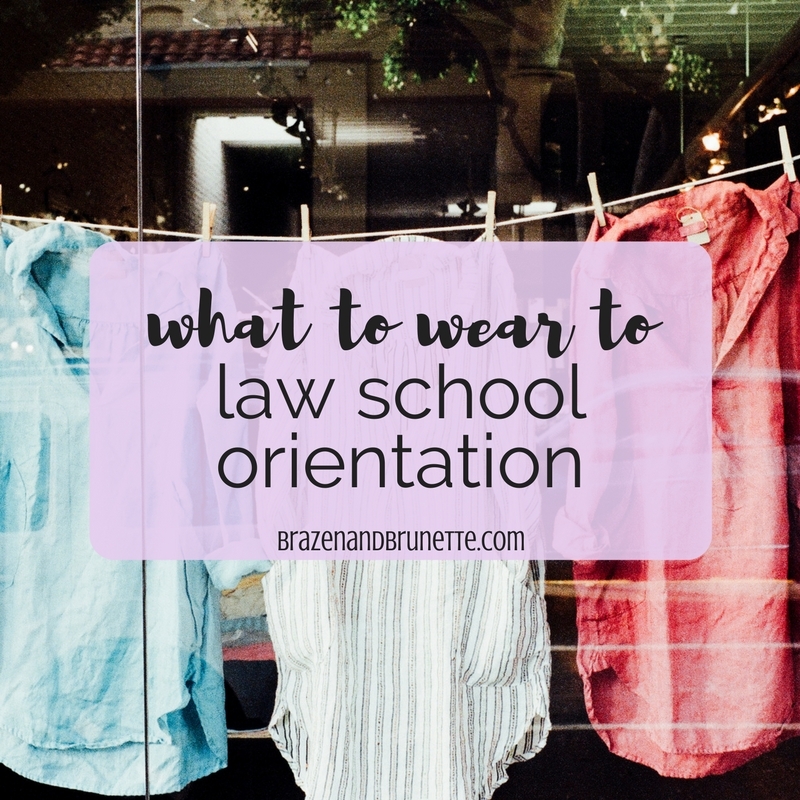 Depending on your law school, they probably will tell you what to wear to your orientation. If you don't have a big professional wardrobe, that's fine! There's really no one to impress this week so it's ok if you wear what you have. Just keep this in mind and work these next two semesters to slowly build your wardrobe so that you're prepared to interview and work in an internship. That being said, do try to look put together because there's a good chance that you'll meet your professors this week so it's always a good idea to make a good first impression. BP in the legal field is definitely more conservative and classically professional than what Pinterest will lead you to believe. If a lawyer ever tells you to dress BP, they are meaning a suit. Your school might ask you to wear this one day when you take an official oath swearing that you'll do nothing but read for a whole year (jk. but not). I already wrote a little about this in my post about what I wore in moot court, but here's some looks you can click through or shop if you want. 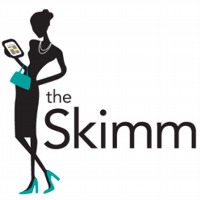 This is what Pinterest is talking about when it says anything about Business. Obviously, BC is a step down from BP. Basically if it's colorful or slightly casual, it's BC. I'd stay safe with either comfortable heels or a good pair of flats. I've seen a lot of people wear blazers, too. It wasn't uncommon for girls to dress BC for class because they want to look nice. This is what you'll probably be able to wear for most of the week. It's also basically how I dressed for class. Law school casual is still a little more dressed up than what I wore in college. I saw a few people wearing yoga pants and Nike shorts, but it's not really that common. Remember that there's a chance on any given day that you'll have to stand up and talk in front of the class; I've found that dressing nice gives you more confidence on those days. There's also the chance that distinguished judges or lawyers will be visiting your school throughout the year, so make sure that you're always prepared to run into one of them. If all else fails, just glance around and see what your classmates are wearing. If they're a little dressier, you can step it up a notch. I'm by no means a law school fashion blogger, but I think it'd be a great idea if any of y'all with more fashion sense want to start that up! "What do I wear?" is a question that gets asked a lot. In the meantime, if any of y'all feel like sharing what you wore to your orientation to help future generations of 1Ls, please send it to me and I'll update this post! Oh and one rule that I recommend for class is the 2/3 rule — between your hair, makeup, and outfit, you should always have at least 2 put together (so if you do wear an oversized shirt and nikes, make sure your hair and makeup are done). It's just a handy way to keep you from looking too sloppy. I found your blog on Pinterest and thank god I did! I have orientation this Wednesday and Thursday, and I start law school in a week. I'm both excited and nervous, so reading and doing some blog research definitely helps. Thanks so much! Hey Kristin I'm so glad my blog made you feel at home! Good luck next week when you're for real for real a law student! The first few weeks are definitely an adjustment, but my mid-September most of your worries will be gone :) I hope you'll continue blogging about law school because I love to see what other's experiences are! Thank you!! I start orientation on Monday and have been struggling with how dressy to be. I'm glad it could help you have a better idea! I just hope that your school is similar to my school haha. Good luck with on Monday! Yeah Ashlyn it was what I was worried about too because you never want to be way overdressed or underdressed on the first day you meet your fellow students! Good luck at orientation and the rest of law school! !